Fabric inspired from the Monterrey Western bedding collection. 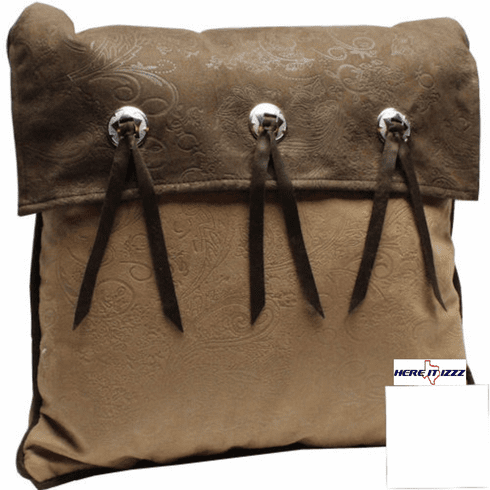 Beautiful triple tassel pillow. Distinctly tooled fabric in dark chocolate brown and beige. Great way to spruce up your cabin our lake house with our 18 by 18 inch Monterrey pillow.